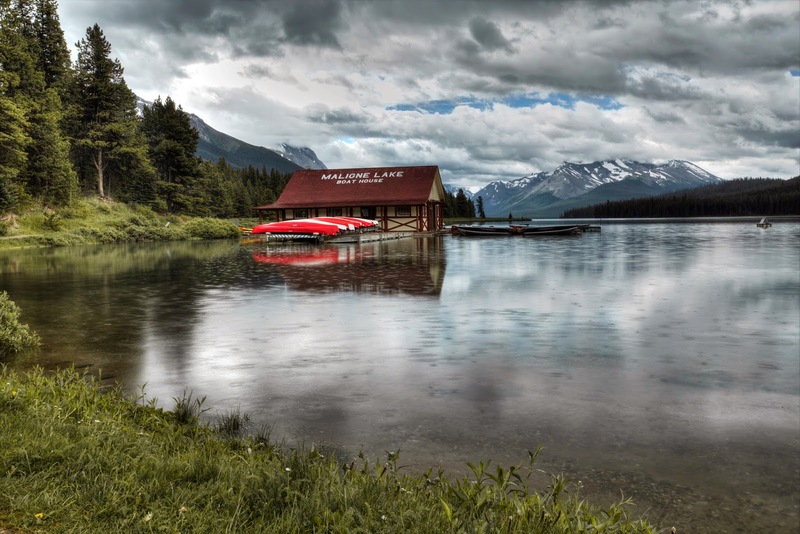 I always wanted to do the cruse on Maligne Lake, but no chance it was a rainy day and I decided that I will do some hiking instead, not getting to far away from the lodge, that way I can run to take cover if the rain get heavy, and it did. Maligne Lake is just 50k from Jasper Township, but the weather in the mountain can change inside 10k, and even if it was a beautiful day in town, it was a different story at the lake. That ride will take you about 1h, as the speed limit run between 40 and 60K. If you decided to do the cruse, by your ticket at the lake instead of going with a tour, that way you can decided when to embark, and if the weather is good enough, it's cheaper too, tour are from $109 to $139 depending if they feed you or not and if they are stopping on the way up, if you purchase your cruse at the lake it's about $64, and they have cruse departing almost every 15 min. Don't forget if you drive you can stop to take beautiful landscape shots, and take your time to get to the lake, there is a lot to see on that road trip, you can even make a day out of it. Even if it was rainy I took 5 shots, -1.5, -.3/4, 0, +3/4, +1.5 , rainy not always means low dynamic range, I had rain and sun at the same time. I process the shots in Photomatix my favorite HDR software, every time I used Photomatix I have to process the result in Photoshop, to change the color to what I remembered, and adjust the contrast etc..., I also used Blake Rudis color zone to get the exact result.